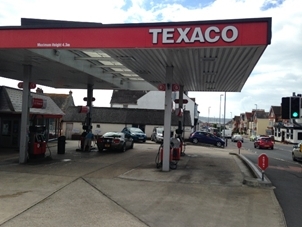 Weymouth and Portland Borough Council: Pure Town Planning have recently secured planning permission for the change of use, alteration and extension of a former petrol filling station to two A1 retail units with associated access and parking in Wyke Regis, Weymouth. Working in collaboration with Union Architecture, we prepared, submitted and managed a planning application for the proposed development, which sought planning permission for the removal of the existing petrol station canopy and the alteration and minor extension of the existing building to provide provision for two retail units and 20 parking spaces, with ancillary space for back of house operations, such as a stock room, plant room and delivery area. Due to the hazardous nature of the existing use, prior to the formal submission of the application, we commissioned WPA Environmental to undertake a phase 1 contamination assessment, which concluded the site could be redeveloped in a safe manner, subject to appropriate site investigation and remediation. As part of the application, we prepared a comprehensive supporting design, access and planning statement which set out the merits of the proposal in a clear and concise manner, whilst making it clear that the development was in accordance within adopted planning policies that support economic growth and the provision of new community facilities through the reuse of existing commercial premises. To ensure compliance with local and national planning policy that aims to safeguard the vitality town centres, we prepared a sequential retail test in support of the scheme which, following a thorough assessment of available retail and commercial units throughout Weymouth Town Centre, concluded that there was an insufficient capability to service the proposed retail provision elsewhere within the Borough. The report noted as the development would allow local choice and competition to satisfy day-to-day shopping needs and small scale top-up purchases, the proposal ought to be considered favourably by Weymouth and Portland Borough Council. Upon considering the application and supporting documents, the Council agreed with our conclusions and moved to grant planning permission for the development. 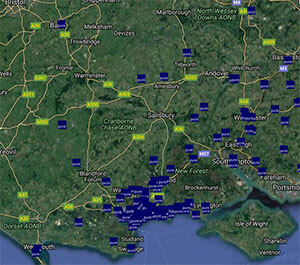 The client was delighted with the decision and is now preparing for the redevelopment of the site.